From a heritage of needle workers in Ohio, Nancy graduated from San Francisco State University with a BA in Interior Design. She worked as a designer for major Interior Design stores on the Peninsula as well as Gumps in San Francisco. Her love of fabric along with a passion for color and design found its voice in quilting along with a love of helping others through teaching. 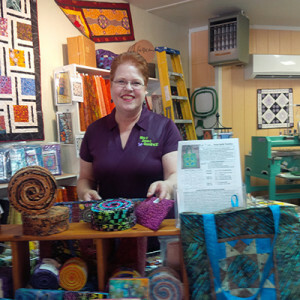 In 2003, her heretofore hobby turned into a full time business when NotJustQuiltZ opened. Nancy is an award winning quilter in both hand and machine quilting, a certified judge and quilt instructor. She served as quilt show chairman for her local quilt guild in 2003 and 2004. Her custom made items have been shown at an artisan collective, featured at a local Hallmark store and used by public television station KTEH as a fundraiser along with various other fundraisers throughout the San Francisco Bay Area. 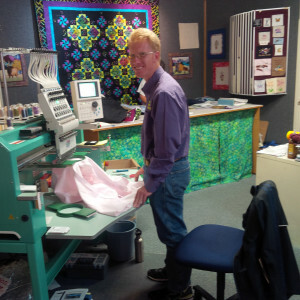 Seven years ago, Nancy added long arm quilting to her repertoire by acquiring a Gammill Statler Stitcher computerized quilting machine. 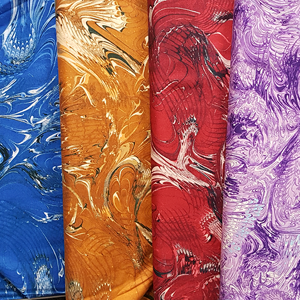 She brings her flair for color and design to a new medium—machine quilting by bringing your treasured “heirlooms-to-be” or utility quilts to star status. She is truly the NJQ beacon! You’ve read about the star, now for the supporting cast! Norman overseas the day-to-day matters, banking and policies. 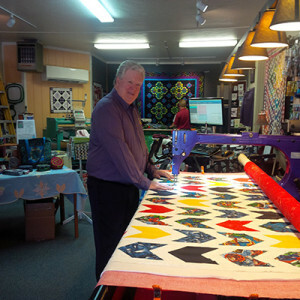 His passion is our charity work for Quilts of Honor which is near and dear to this veteran’s heart. His background is 30+ years in senior management and ownership in the financial services industry. He is always happy to meet new friends and see old ones, too. “Just adore me and pet me” is his credo! From a life started without promise, Willy was rescued at age 2. Just look at him now—20 lbs. 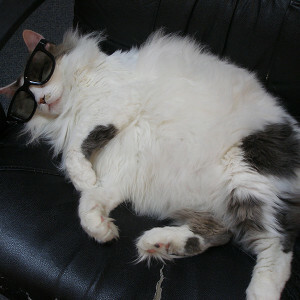 of lovable fluff.